Serum and plasma are both components of the blood; plasma is the liquid in which various blood cells are suspended, and serum is the fluid without blood clotting factors or blood cells. There are a few other differences between the two, and this article highlights them. You must have often heard the terms plasma and serum, while going for a blood test. These two fluids might seem confusing, as they are so similar and have the same appearance, i.e., both are straw or light yellow colored clear liquids. The plasma or serum's color may change to pink or red due to hemolysis, i.e., rupture of the RBCs; either due to improper handling of the blood sample; or infection or disease in the individual, from whom the blood sample has been drawn. They may also appear dark or bright yellow, if the person has jaundice. If the serum or plasma is cloudy or turbid, it could be because of lipids in the blood or bacterial contamination. Serum is usually used for various diagnostic blood tests, such as in an ELISA test for determining the level of various nutrients, hormones, etc., in a person's blood; whereas plasma is primarily used for transfusion. Both are derived from the blood, the liquid of life. So, let's just start by understanding what blood is. Blood is a bodily fluid that circulates through arteries and veins, supplying the tissues with oxygen, and taking away carbon dioxide to be excreted. It is also responsible for providing nutrients to tissues, hormones to the cells, and is an important part of the immune system. It is made up of red blood cells, white blood cells, and platelets; floating in a straw-colored liquid called plasma. Blood from a single donation or sample can be separated into different components: proteins, red blood cells, white blood cells, clotting factors, etc., and used for their individual purposes. Similarly, plasma and serum are obtained from the blood by centrifugation, one before coagulation and the other, after the blood has completely clotted. Sometimes, an anticoagulant such as EDTA, citrate or oxalate might be added to plasma. Plasma is the liquid part of blood, in which blood cells, nutrients and hormones float. Serum is the fluid part of blood, without the clotting factors or blood cells. Isolation procedure of plasma - Plasma is extracted by spinning a blood sample in a centrifuge, wherein heavier blood cells settle at the bottom, and blood plasma is collected from the upper layer using a pipette. Isolation procedure of serum - For isolating serum, a blood sample is allowed to clot. After clotting is complete, the sample is ringed i.e., liquid is extracted using an applicator stick. The liquid is further centrifuged to remove any traces of cells or clot. - Plasma is most often used for transfusion to people suffering from hemophilia or other blood-clotting disorders, immunodeficiency, shock or burns. - Serum is most often used for blood typing. - Serum is also used for various diagnostic tests used for determining the levels of hCG, cholesterol, proteins, sugar, etc., in the blood. - Plasma is separated from the blood as this increases its longevity - frozen plasma can be stored for up to a year. - Plasma is easier to transport. - Plasma is replaced in the body after 2 - 3 days, while whole blood takes a lot longer, so it can be donated more frequently. - Blood serum has more antigens than blood or plasma, so it is more effectual for tests. - Anticoagulants in plasma or blood may interfere with the chemical reactions used to measure levels of the blood constituents. - The anticoagulants in plasma or blood may draw water out of cells, diluting the sample and changing the test results. 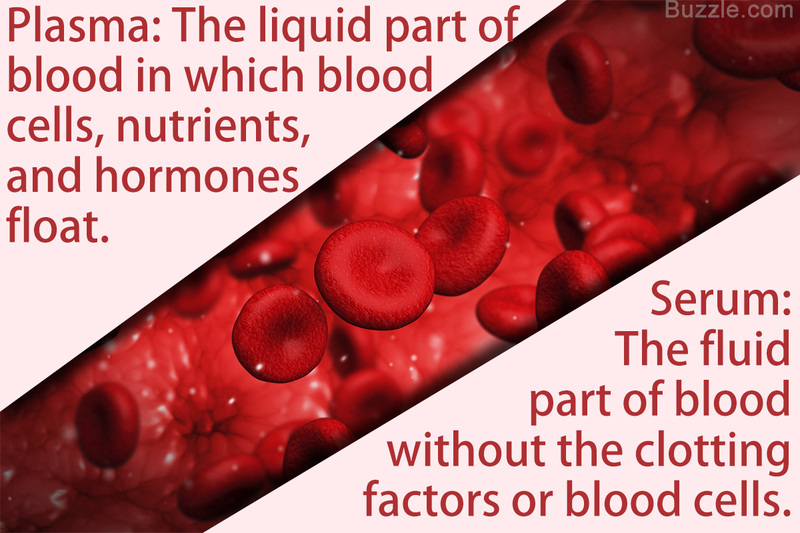 These are the ways in which serum and plasma differ. While similar in many ways, the minor differences that they have, lead to major consequences when it comes to their use. 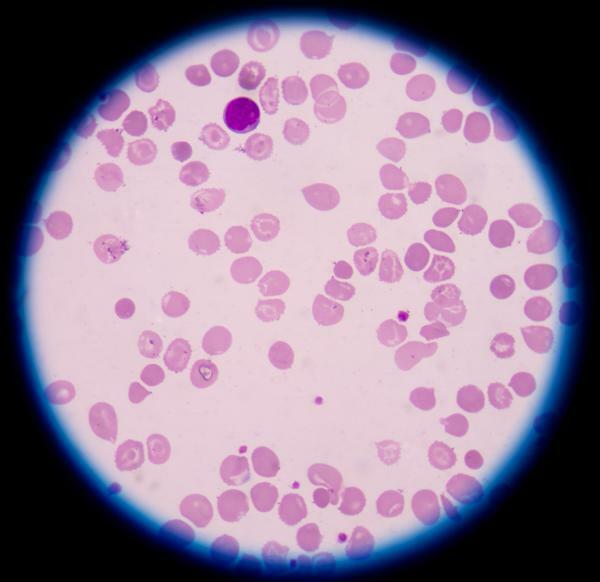 While the anti-coagulants present in plasma makes it undesirable for certain tests; serum cannot be used for transfusions, due to the absence of blood clotting factors.